"You may have tangible wealth untold; Caskets of jewels and coffers of gold. Richer than I you can never be - I had a mother who read to me." Yet another excellent book from Jason Parent. This was a lot of fun to read and I enjoyed every minute of it. I was engrossed from start to finish and I couldn't turn the pages fast enough. The characters are well written and fully fleshed out and there are plenty of twists to keep you on the edge of your seat. The descriptions were vivid and at times had me cringing but I couldn't look away from the page. 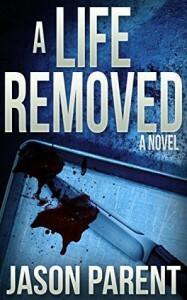 A Life Removed has a wee bit of everything that I enjoy: crime, thriller, police procedural, action, and horror, and there is plenty of each to please every reader. It never ceases to amaze me how well Jason Parent can meld different genres together and produce something that is a lot of fun to read rather than a hot mess. Congratulations on being auto-approved by 4 or more publishers--only 2% of our community members have earned this badge!